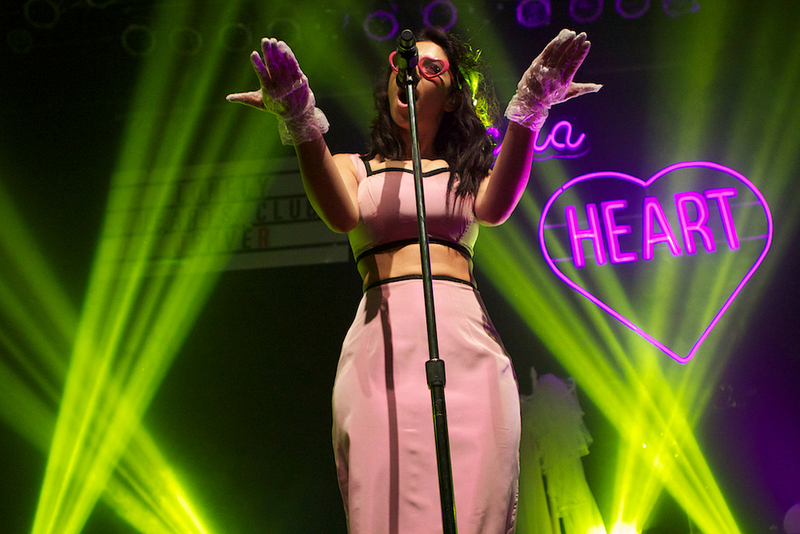 Marina and the Diamonds played to a sold-out Gothic Theatre last Tuesday as part of her current Electra Tour. With an elaborate stage set-up and costumes, she gave those in attendance their moneys worth. The new wave pop princess is part of a current British invasion along with fellow tour-mate Charli XCX. The Electra Tour is currently hitting major US cities. Check out more photos here.